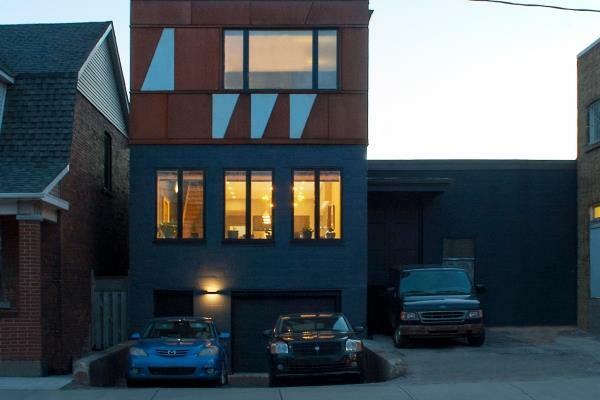 House on Grand River is a modern, multi-generational home, with a family-centred layout, striking blocks of colour, and gorgeous views. 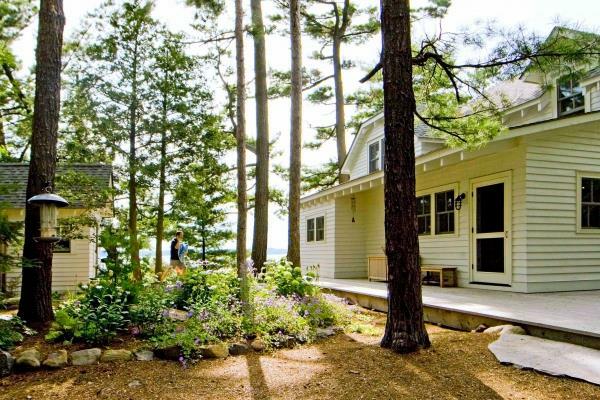 The setting is a spectacular 1.5-acre property on the south bank of the Grand River. 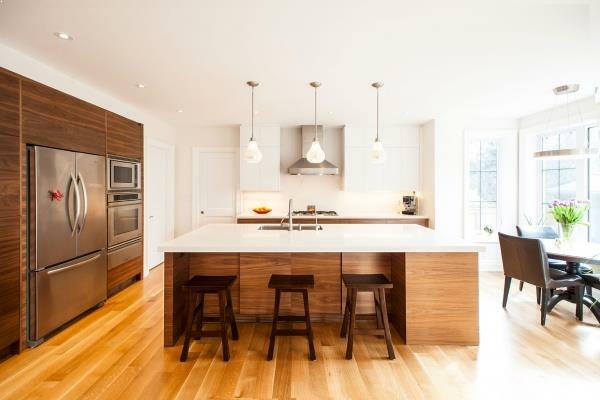 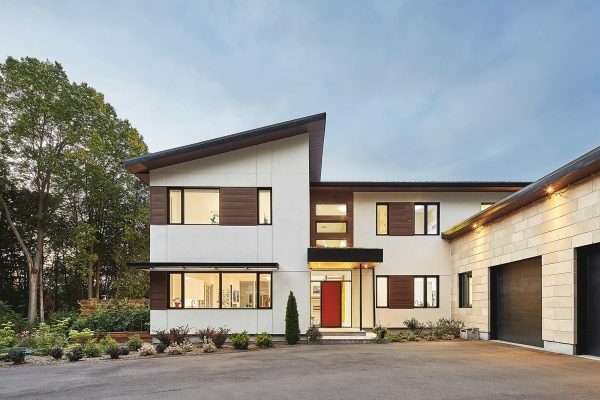 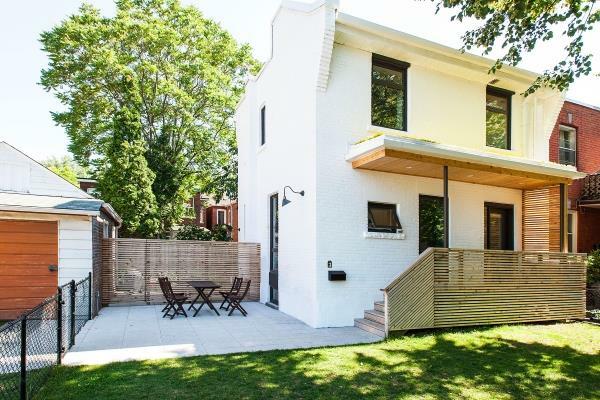 In place of an aged and crestfallen bungalow, is now a 5,600 sq ft custom home that delivers on sustainability, energy efficiency, and connection with the surrounding landscape. 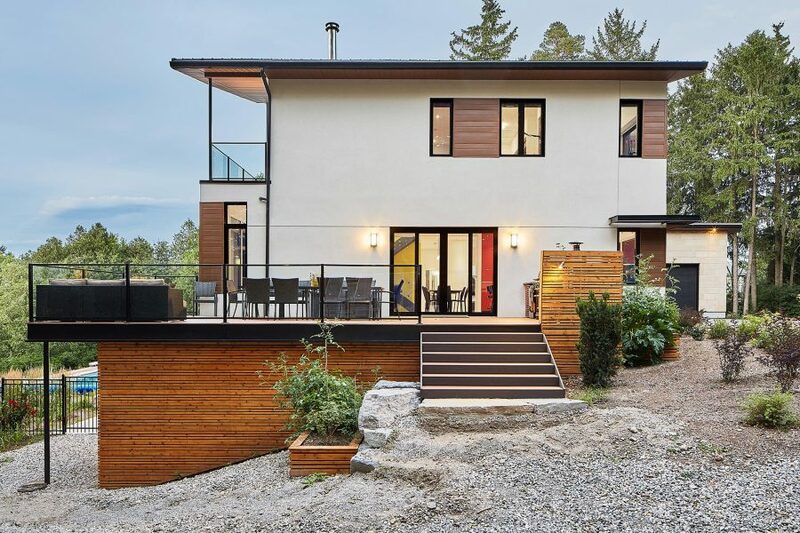 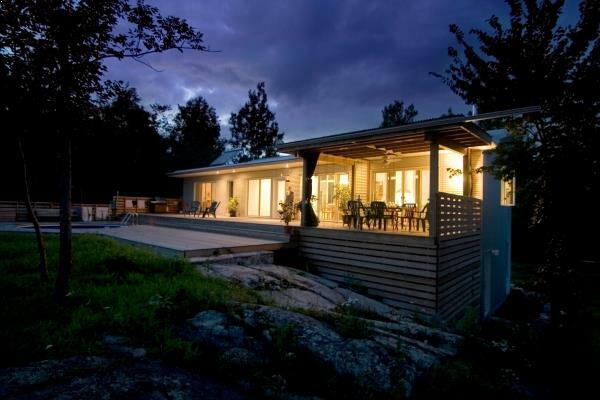 The new house is built directly on the site of the old bungalow close to the road, which both maximizes views of the river, and leaves undisturbed an existing pond and wooded area that provides shelter for nesting geese and other local fauna. 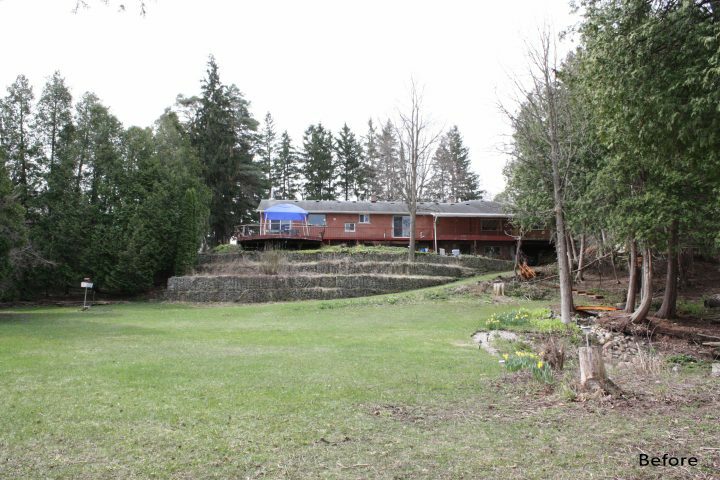 This nature-filled lower portion of the property is designated as a floodplain, and is regulated by the Grand River Conservation Authority. With the Grand River to the north, the challenge was to take advantage of the best views without sacrificing the energy performance provided by south exposures. 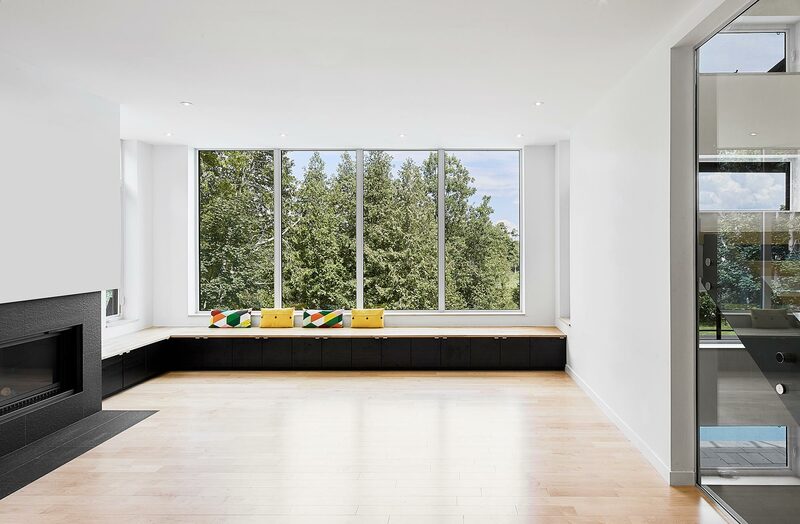 The solution was to strategically locate south-facing windows to bring light and warmth to key north-facing rooms. 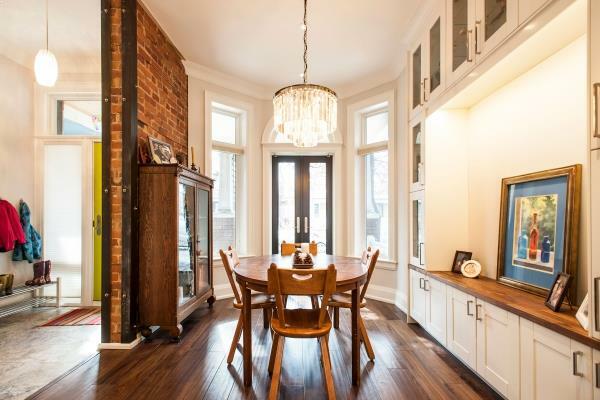 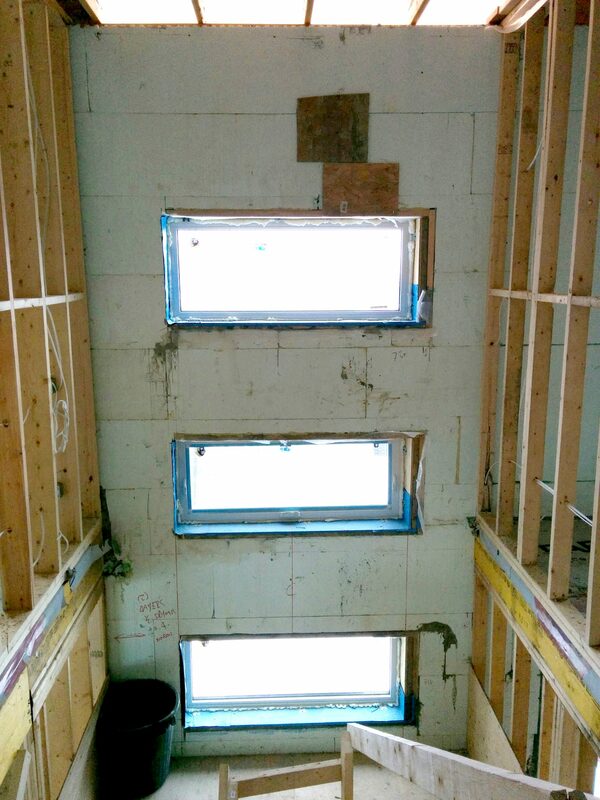 The entire south wall of the kitchen is glazed, which allows the adjacent Great Room to be flood with bright sunshine from the south while still having the best views to the north. 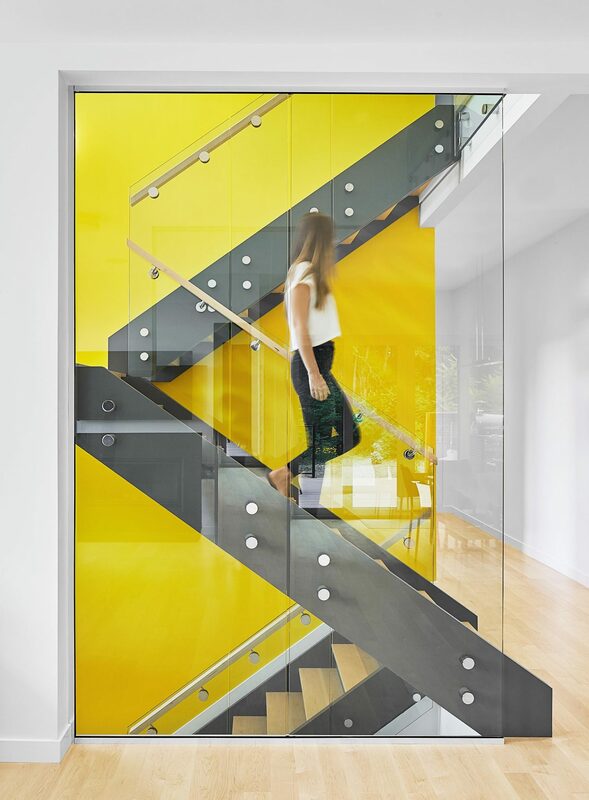 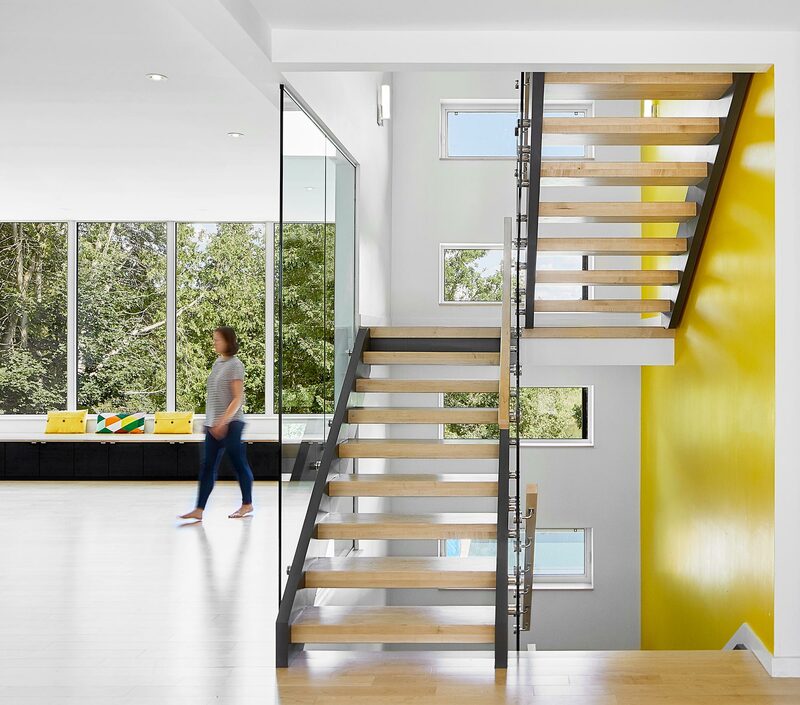 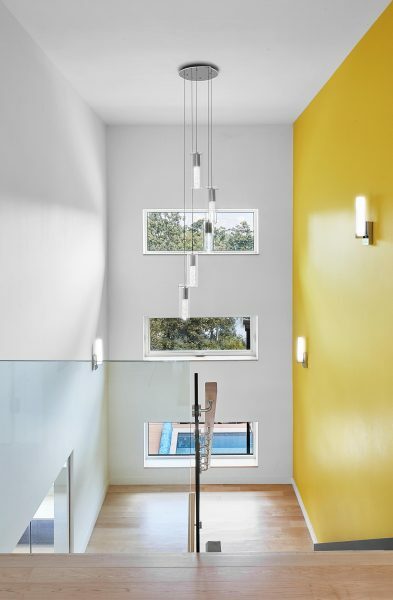 In addition, at the top of the stairs on the second level is an open, south-facing play loft; optimal light enters here and fills the middle of the house for all to enjoy. 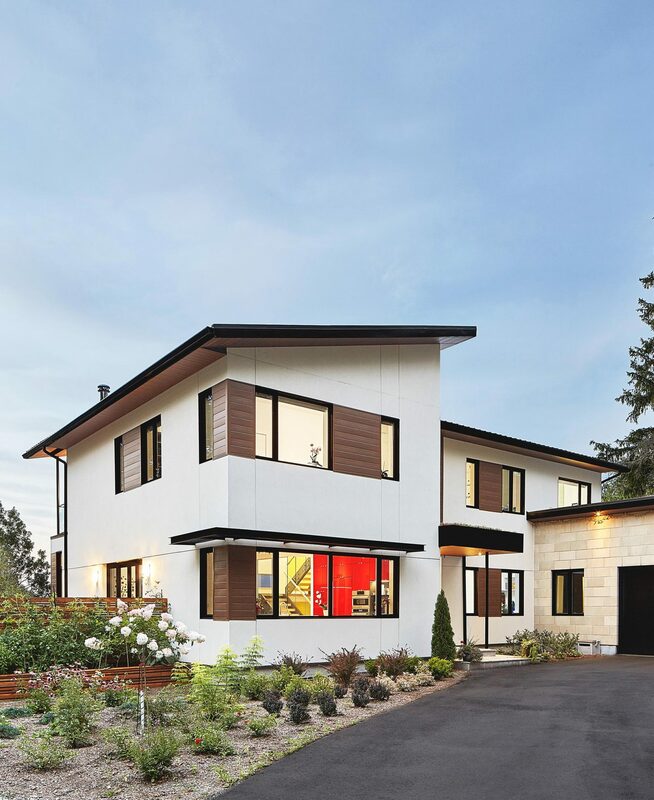 All the windows in this home are triple-glazed, fibreglass-framed units. 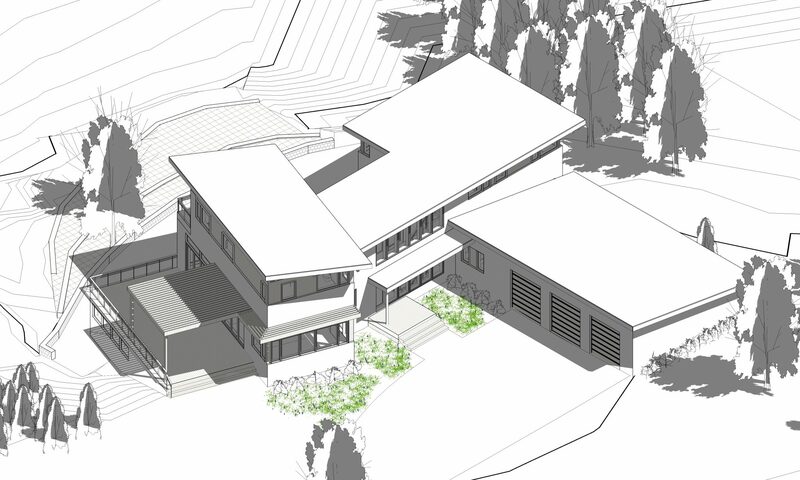 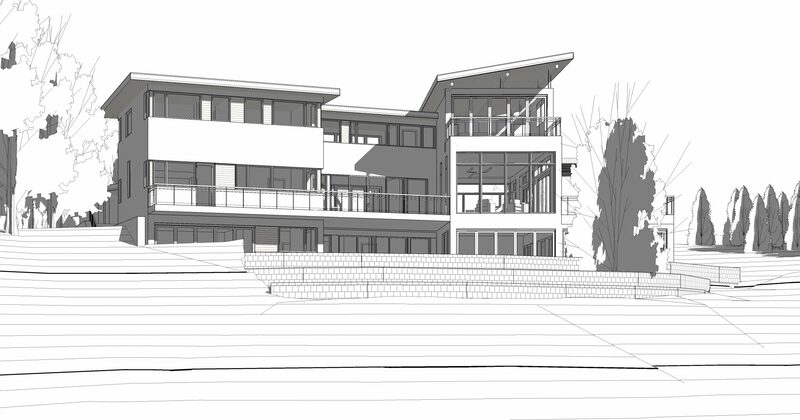 The construction of this bespoke house is comprised of Insulated Concrete Form (ICF) walls, steel framed floors and sloped steel roofs. 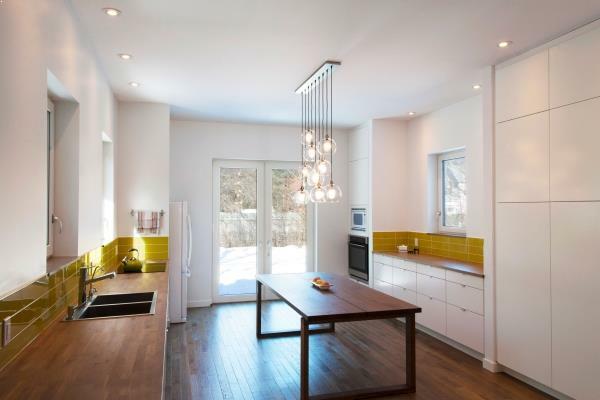 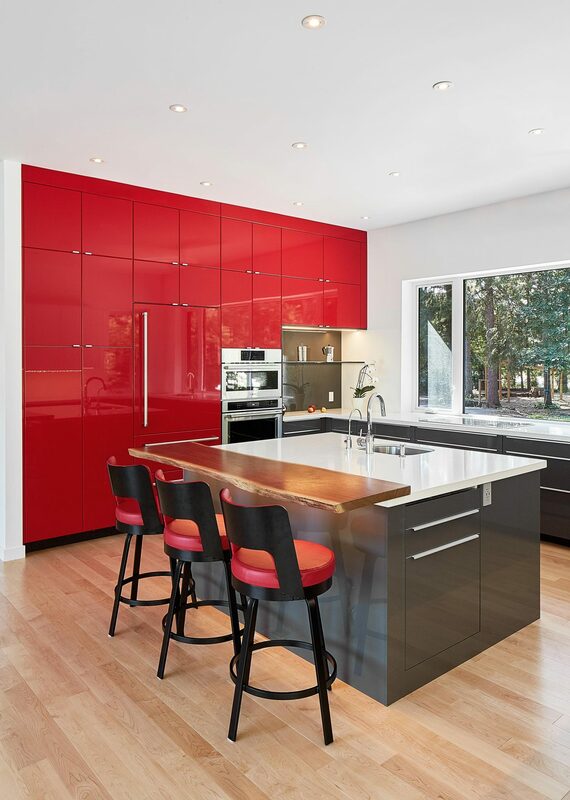 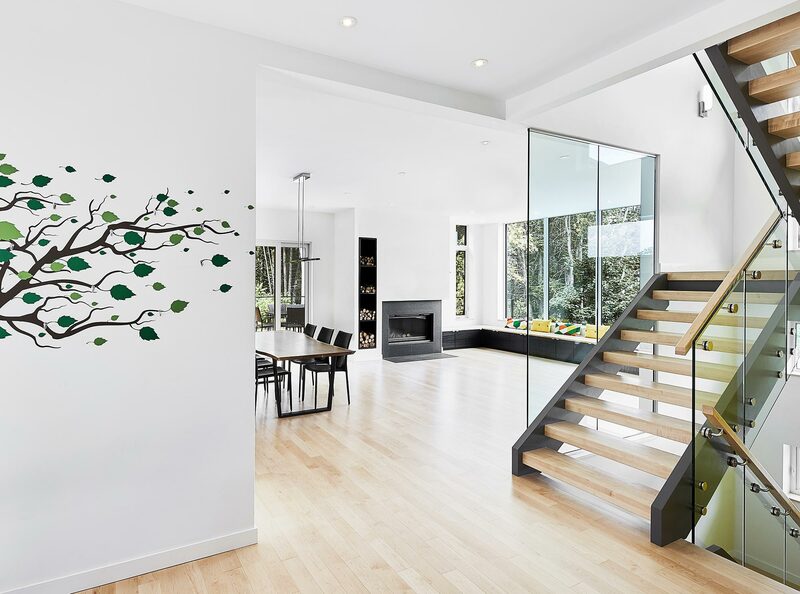 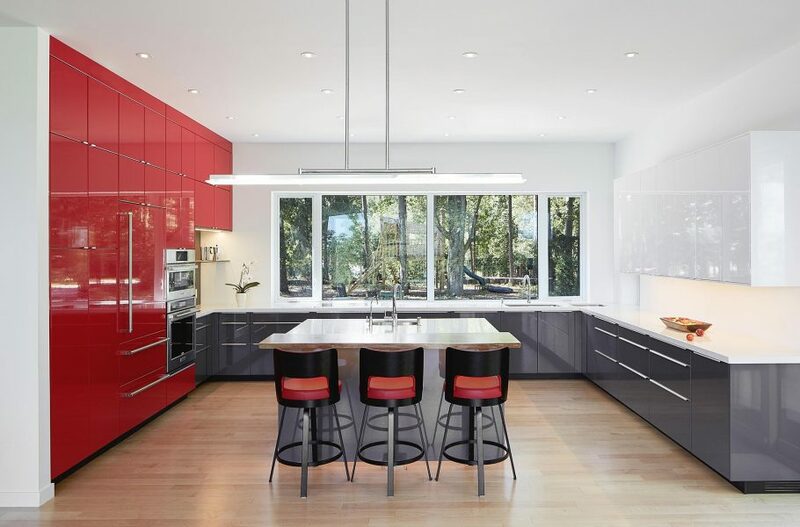 Pops of bold colours both inside and out express the fun, whimsical nature of the family, while providing a balanced counterpoint to the clean contemporary pallet of white, black and wood used throughout. 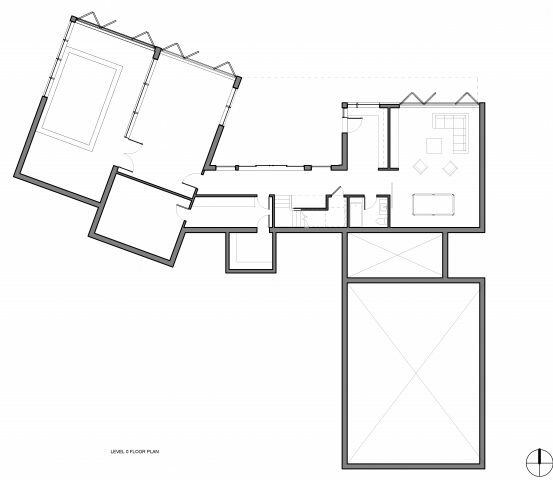 For this family, a T-shaped interior made the most sense in terms of flow, everyday function, and privacy. 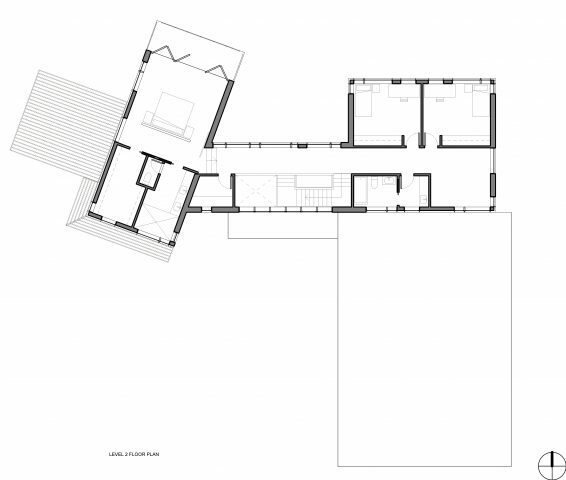 The main entrance and staircase act as a pivot-point that divides the building into two wings. 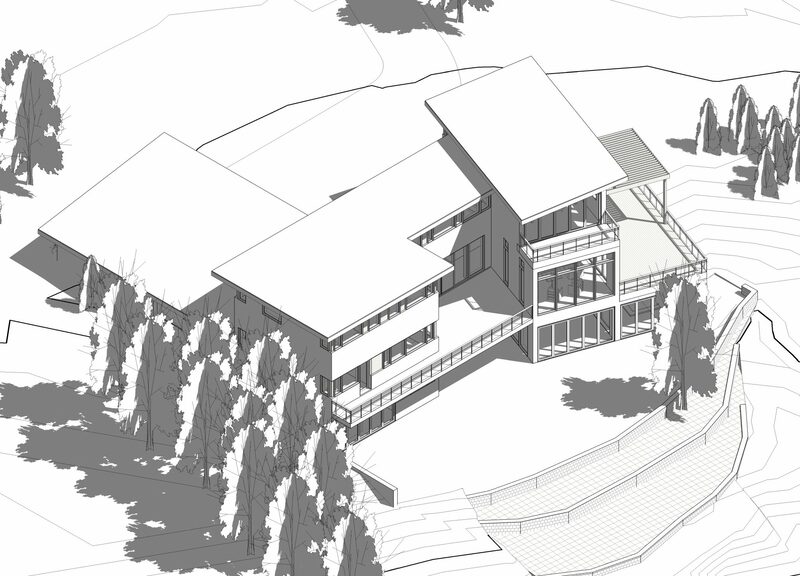 The main level of the west wing includes the great room with a three-sided view to the river, a U-shaped kitchen with a central island, and a main dining room with access to a 560 sq ft deck. In the east wing of the main floor is a bedroom suite for their live-in grandmother, as well as a library, mudroom and powder room. 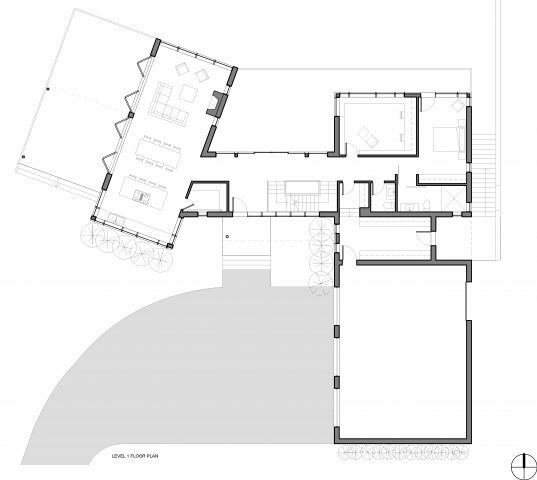 The library and the guest room have access to a shared balcony overlooking the river, while the mudroom directly connects a two-car garage with the main entry of the house. 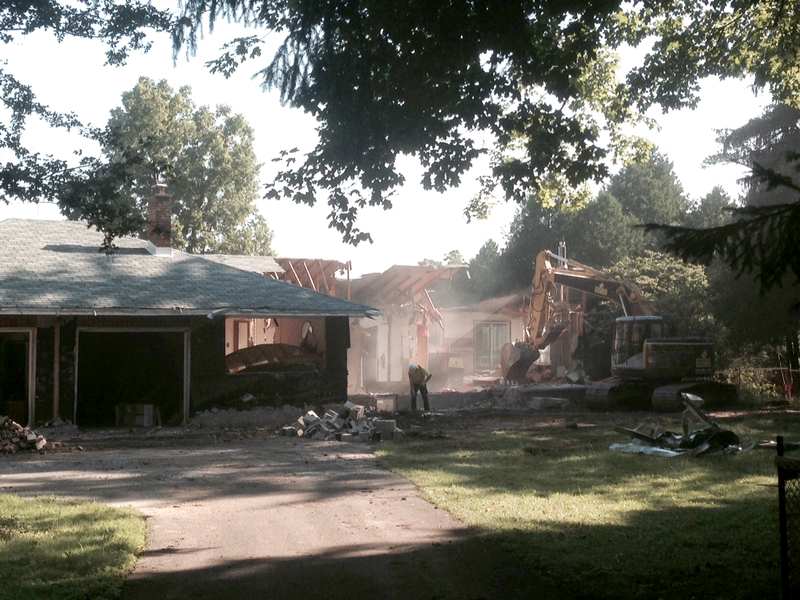 On the second floor, the house is once again divided in two halves by the main staircase. On the west side is the master suite with a large sliding door and balcony overlooking the river; while the two children’s bedrooms, family bathroom and laundry are on the east. A play loft opposite the stairs functions as a buffer between the two wings of the house. 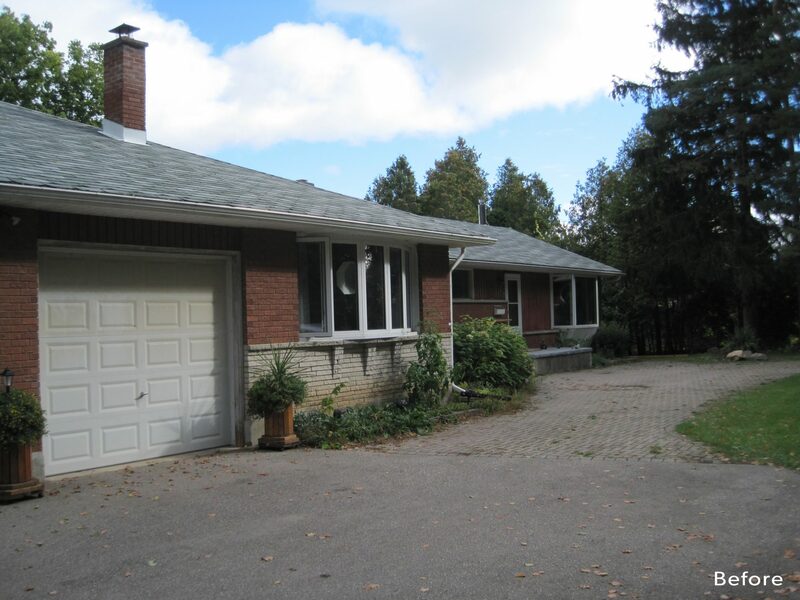 The basement has direct access to the backyard, and accommodates a guest bedroom, a guest bathroom, a generously-sized family room, and a mechanical room. 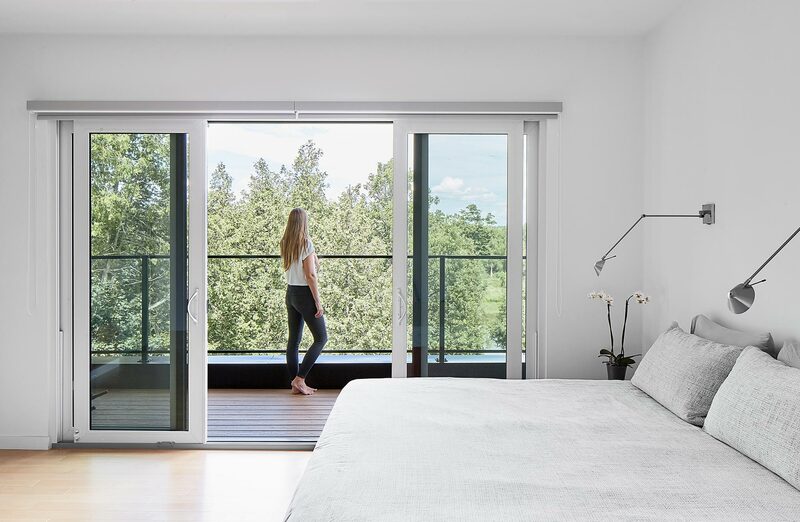 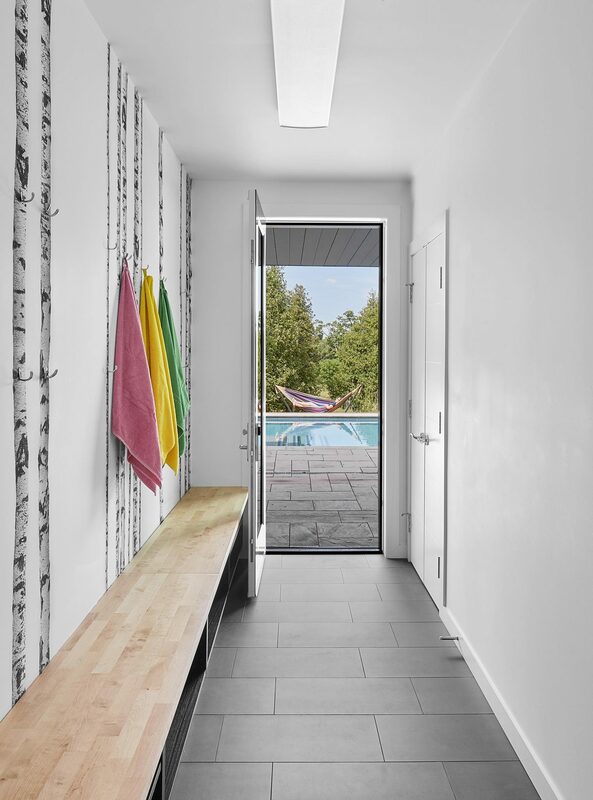 A 16-foot wide patio door not only provides a stunning view, but also creates a seamless connection to a spacious backyard terrace, a swimming pool, and the Grand River. 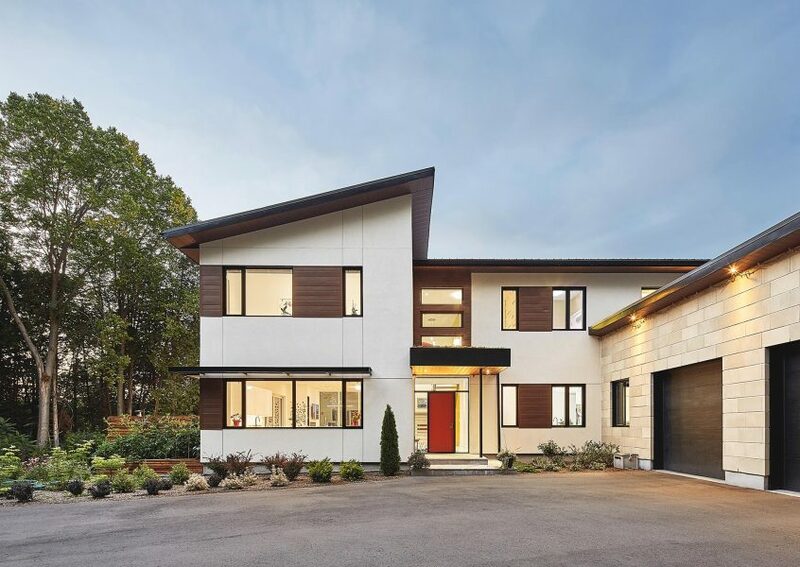 We engaged Equinox Development for this project to ensure the durability, sustainability and efficiency of the construction. 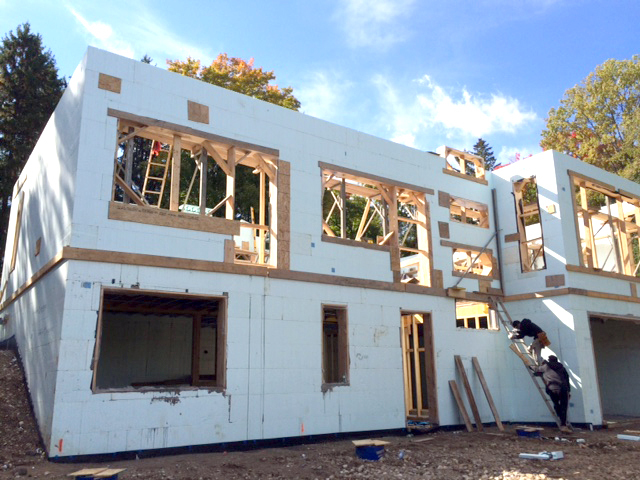 The structure of the house is mostly concrete, with ICF walls extending from basement to roof. 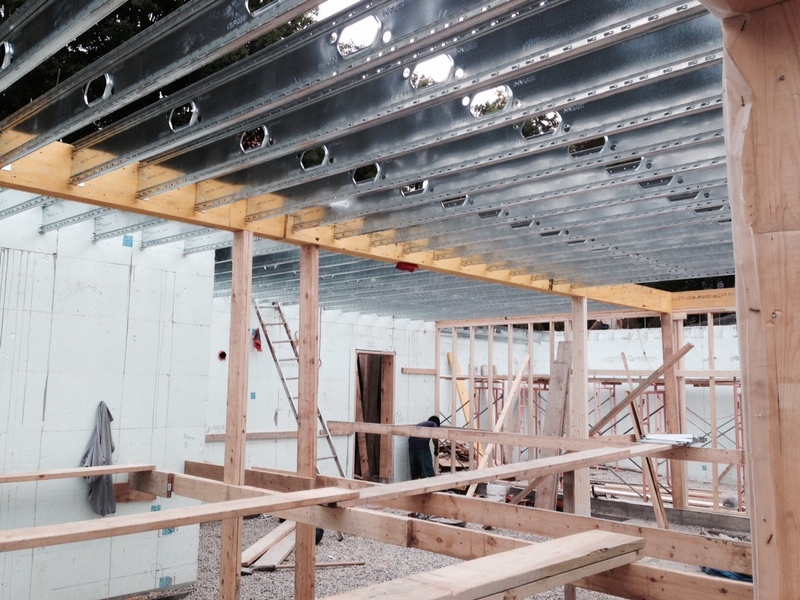 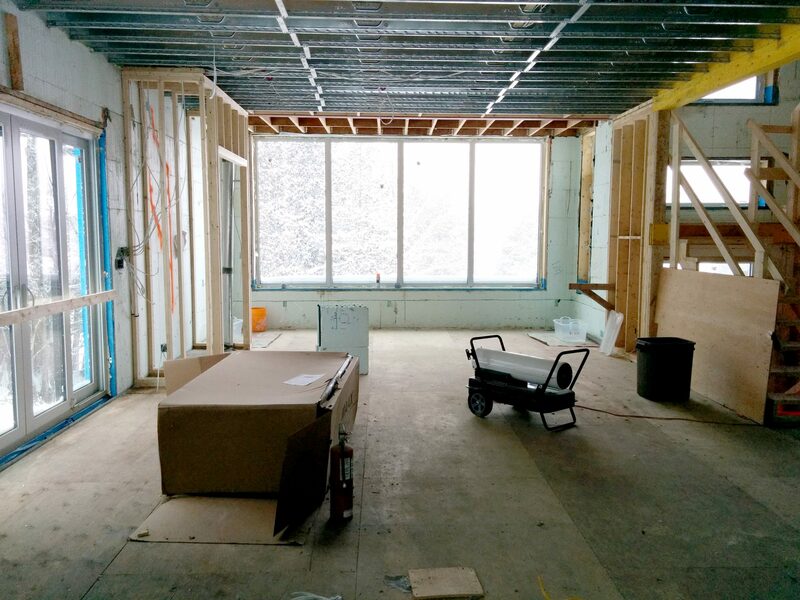 The floors are framed with engineered steel joists topped with screed, while the roof is framed with pre-engineered trusses. 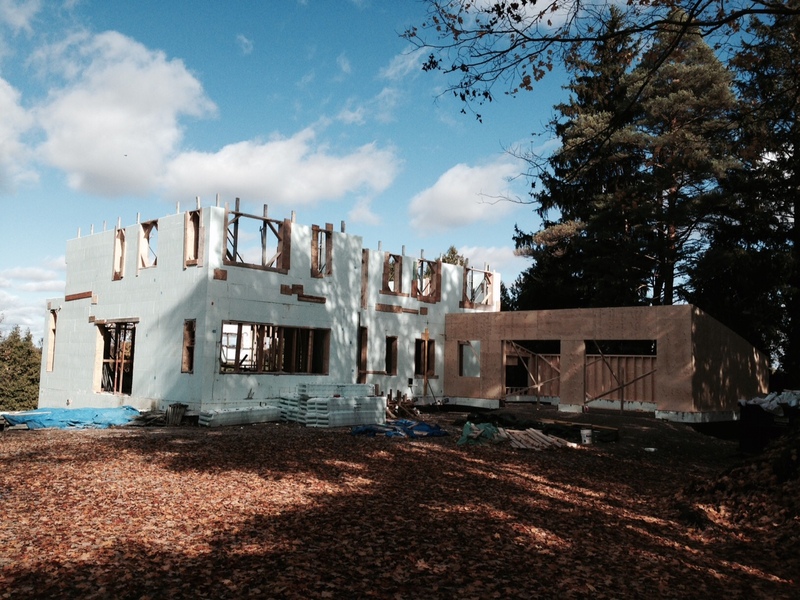 Most of the exterior walls are clad in an Exterior Insulation Finishing System (EIFS). 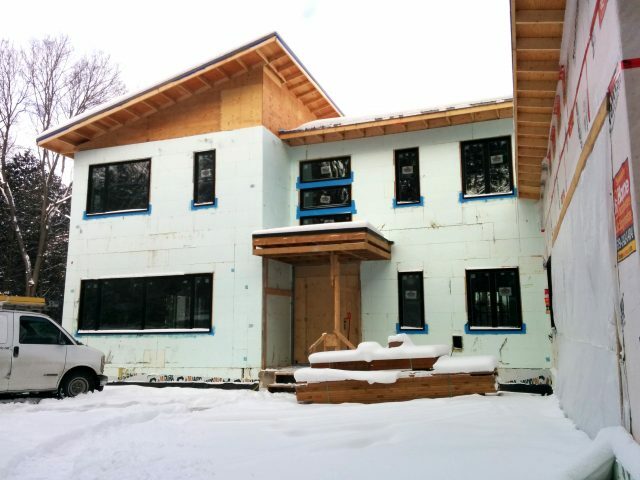 The EIFS acts as a rain screen for water protection, and also provides an additional 2 inches of Expanded Polystyrene (EPS) insulation to the exterior wall assembly, bringing the R-value of the walls up to R-30 (a measure of how well an exposed area resists conductive flow of heat). 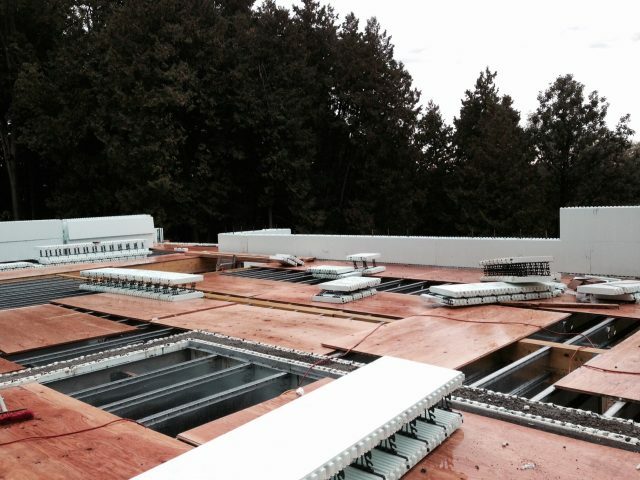 The underside of the roof sheathing is sprayed with 8 inches of closed cell spray foam in order to achieve a roof insulation value of R-50, while 4 inches of extruded polystyrene insulation (XPS) under the slab gives that a measure of R-20. 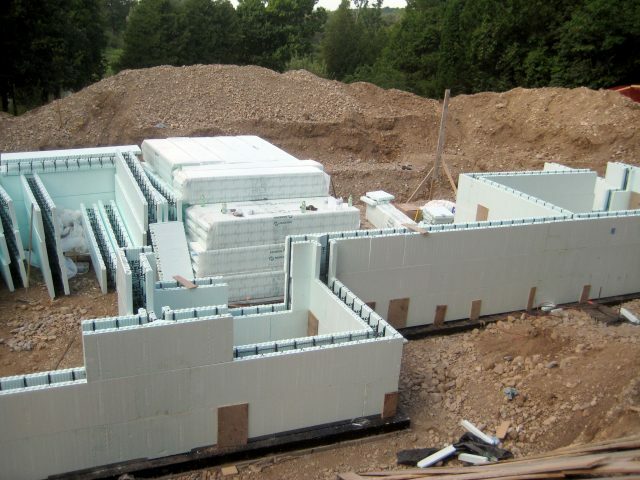 In addition to being a well-insulated assembly, the ICF walls and spray-foamed roof create an extremely air-tight building envelope, which is essential for achieving a high level of energy efficiency. A post-drywall blower door test revealed that the house achieved an airtightness level of 0.7 ACH@50kPa, which is a huge achievement. 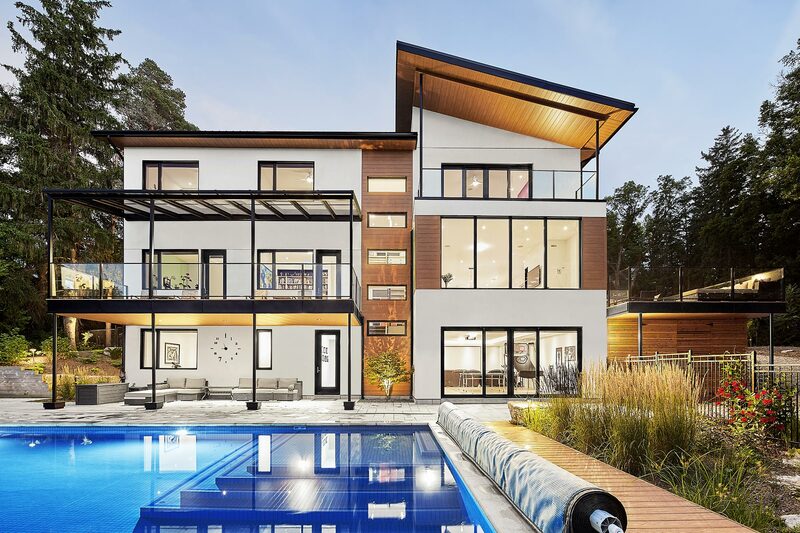 This is a testament not only to the systems used and the details developed, but also to the care and diligence in construction taken by Equinox. To provide some context for that number, 1.0 ACH is the minimum target for all Solares projects, and 0.6 ACH is the Passive House target. Heat is provided by a radiant system, using in-floor hydronic heat tubes supplied by a natural gas combination-boiler. 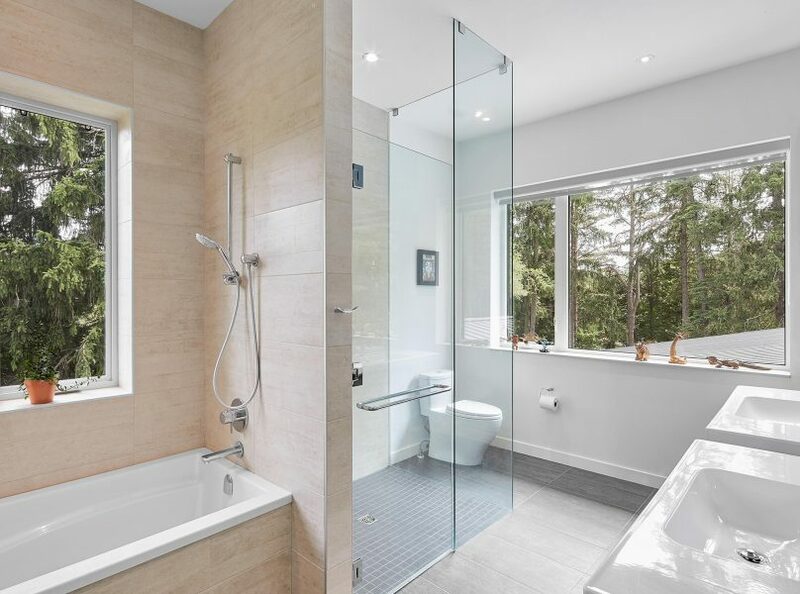 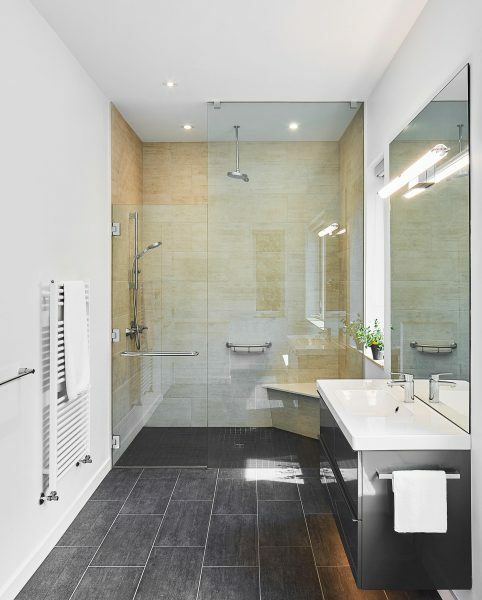 Since the house is quite large, a hot water re-circulation system was installed to conserve water and to keep hot water readily available at the same time. One set of ducts runs through the house and distributes both cooling and fresh air. Cooling is provided by a typical electric condenser, while fresh air is provided by a Venmar Ventilation System (Vanee HRV). 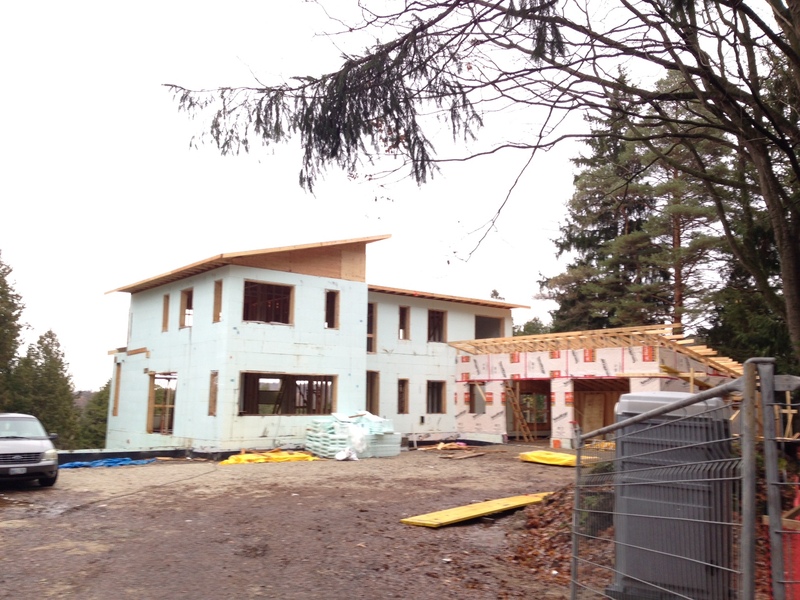 With three sloping roofs, this home is an excellent candidate for even further energy efficiency as well as energy production, so we roughed in the roof for a future solar PV array. 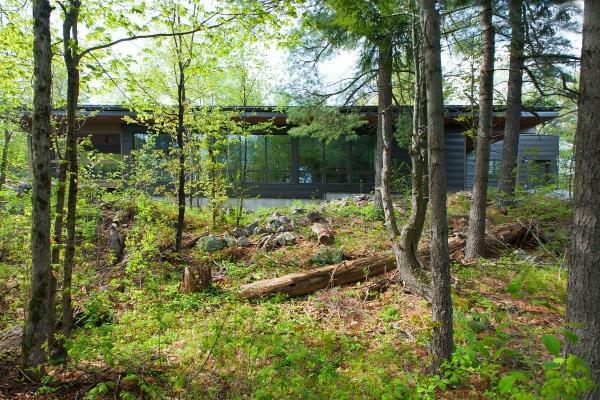 Lastly, a green roof was planted over the front door, which helps to protect the only exposed flat roof of the house. 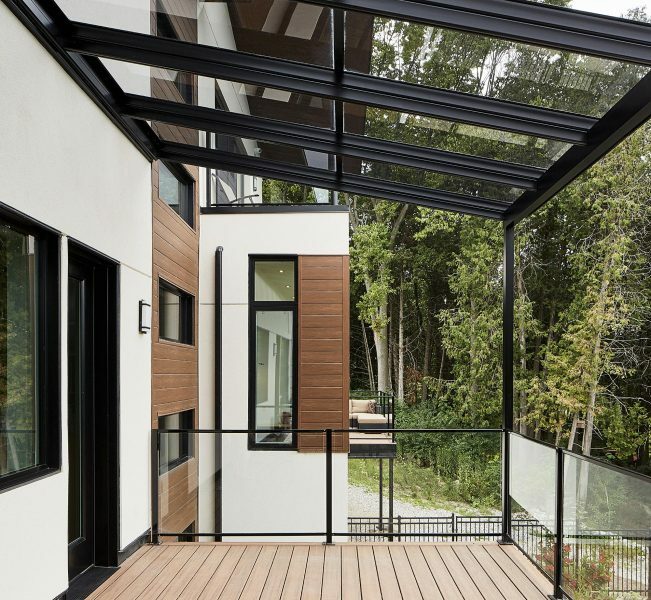 This green roof is not just practical: it also provides a lovely view from the second-floor loft. 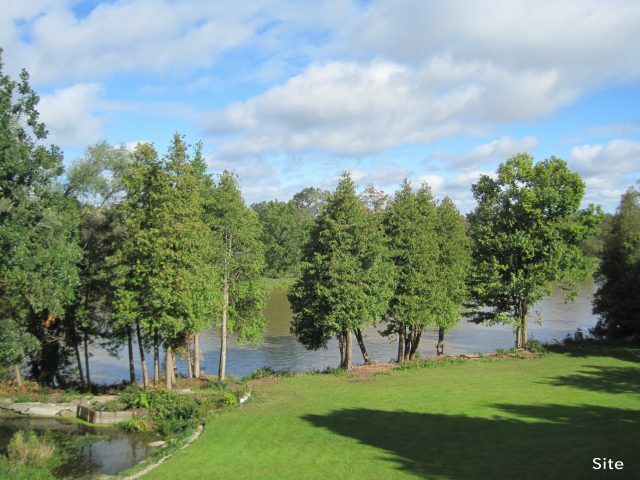 Beautiful views are everywhere in this grand House on Grand River.